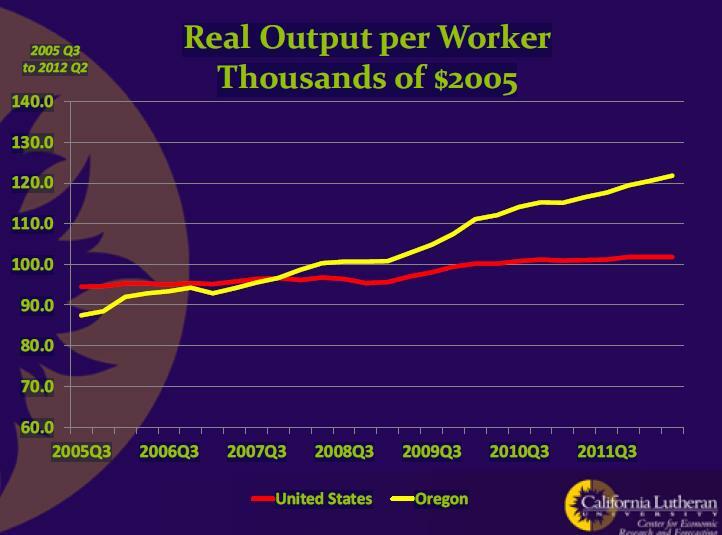 Oregon’s economy has continued its bipolar pattern. Output, Gross Product, has shown strong gains, while job have been far weaker. In fact our most recent data show that Oregon lost 7,900 jobs in September, or almost a six percent annual job loss rate. This represents the largest job loss since the depths of the recession in 2009. Even worse, these job losses occurred at a time when thousands are building Intel’s new $3 billion Hillsboro research facility. Unfortunately, September’s job losses were broad based. Construction, non-durable manufacturing, professional and business services, and government each lost over 1,000 jobs in September. Oregon’s federal lawmakers have taken a strong stand against China’s unfair and manipulative trade practices that have made its government-subsidized wood and paper products artificially cheap in the U.S. market. Chinese firms are also reaping huge profits from illegal logging. Crooks are charging credit cards without authorization under the guise of legitimate political campaign organizations and fundraisers. Better Business Bureau is recommending that voters monitor financial accounts and monthly statements for suspicious activity around election season. In one report to BBB, a criminal organization falsely using the name Obama for America Inc. was withdrawing funds from an unsuspecting local consumer. It is unclear how thieves accessed his card numbers, but he immediately took action to reverse the charges and change his credit card account numbers after recognizing the breach. The Portland Business Alliance board of directors today announced its endorsement of Charlie Hales in the race for mayor of Portland. CNN took Windows 8 to the CEO of Microsoft and Dell and had them walk through how it works. See the video below. From Forbes magazine on the U2 lead singer, Bono, when speaking this month at a philanthropy conference in Dublin, Ireland . California, once an epicenter of population growth and economic opportunity, is losing more residents to other states than it is taking in, according to a new study by the Manhattan Institute. Released in September 2012, “The Great California Exodus: A Closer Look” reports that California has lost 3.4 million residents since 1990 through migration to other states, including Oregon and mostly western and southern states. The study reflects a troubling trend for the golden state, which during the post-war years became a popular destination for Americans seeking opportunity and a better life. In the last 20 years, California has lost roughly 80 percent of the net domestic migration gained during the previous 30 years. The population shift also has financial implications as relocating Californians take their money with them. While foreign immigration continues at a steady pace, foreign immigrants are typically poor and may initially consume more wealth through public programs than they create. 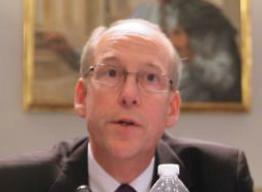 Rep. Greg Walden (R-Ore.) today joined other technology leaders in the U.S. House of Representative and U.S. Senate today in urging President Barack Obama to refrain from issuing an executive order regulating the Internet in the name of cybersecurity ( LETTER). The members expressed concern that using executive power to regulate the Internet would bolster the arguments being made by nations such as Russia, China, and Iran that are seeking global government control and undermine the United States’ position to continue the current worldwide model which has allowed the Internet to flourish. Both the House and Senate have unanimously approved resolutions that oppose such attempts to exert regulatory control over the Internet. The bicameral leaders are also concerned that a top-down approach to cybersecurity will slow the response and impose unnecessary costs on the economy. Can broadcasters pull SuperPAC ads? Why Don’t TV Stations Pull More SuperPAC Ads? Is There Potential Liability for These Ads? We recently wrote about candidate ads, and the “no censorship” provision of Section 315 of the Communications Act. Broadcasters can’t censor a “use” by a political candidate (a candidate ad that features his or her recognizable voice or image), and thus the broadcaster is not liable for the content of a candidate’s ad. So no matter what the candidate may say – the broadcaster runs the ad as is. Ads from third parties (PACs, SuperPACs, labor unions, right to life groups and other advocacy organizations) are, however, different. The “no censorship” provisions of the political rules don’t apply, so broadcasters are free to accept or reject third party ads based on the content of the ads. Even though broadcasters can reject political ads that come from third-party groups, they rarely do, and we seemingly see just as many outrageous claims about candidates in third party ads as we see in the candidate ads that can’t be censored. Why don’t broadcasters more aggressively decide which ads are truthful and which are not, and reject those ads that are not accurate?